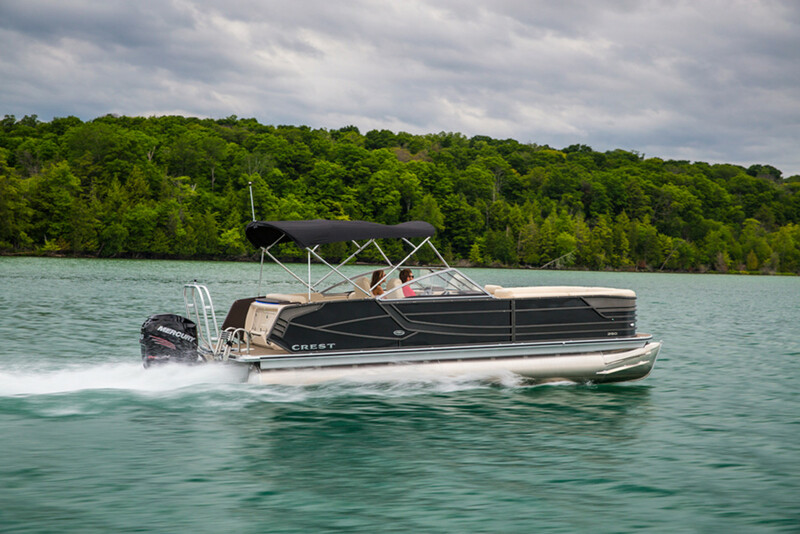 Crest is one of the fastest growing builders in the pontoon market. Crest Marine told the Argus-Press it has broken ground on a new $1-million, 12,000-sq. ft. warehouse. The company last year added 20,000 square feet of manufacturing space while the number of employees has risen along with production. The company plans to build 2,600 pontoon boats this year, 700 more units than last year. Its current number of workers, 260, is expected to reach more than 300 by the end of the year. May said the company had 175 workers at the end of 2016. May said Crest’s sister company, National Composites, has also been hiring aggressively on higher demand for its products. The maker of plastic composite products for Crest and other builders will install a $500,000, 5-axis mill that makes tooling for the parts. The pontoon boat builder has come a long way after coming close to shuttering operations in 2010. May and co-owner Patrick Fenton purchased the assets and renamed the company Crest Marine. The pair have since rebuilt the business.